It’s the quintessential New England summertime treat — the lobster roll. 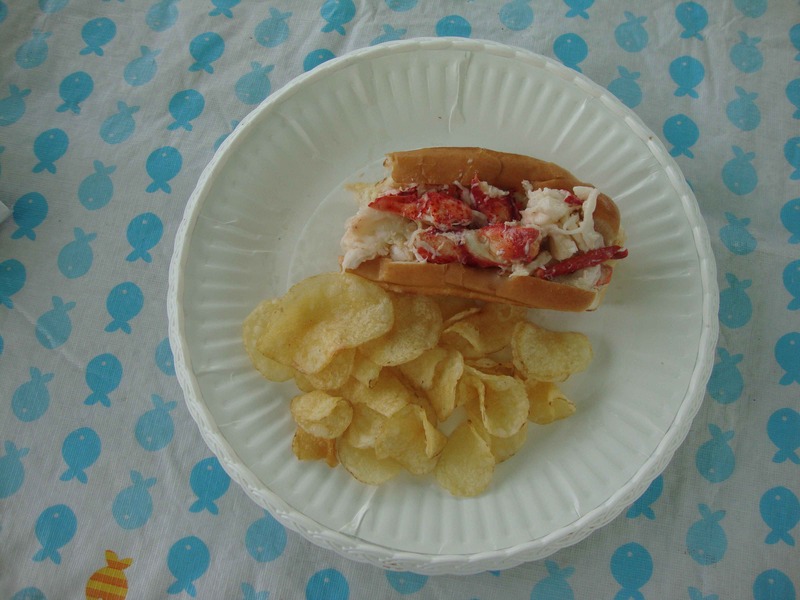 To answer your question, NO, this cannot be replicated without real Maine lobster. No matter what people say, there’s nothing that even comes close to the meaty sweetness of Maine lobster, preferably purchased at a little store that buys directly from the lobsterman. 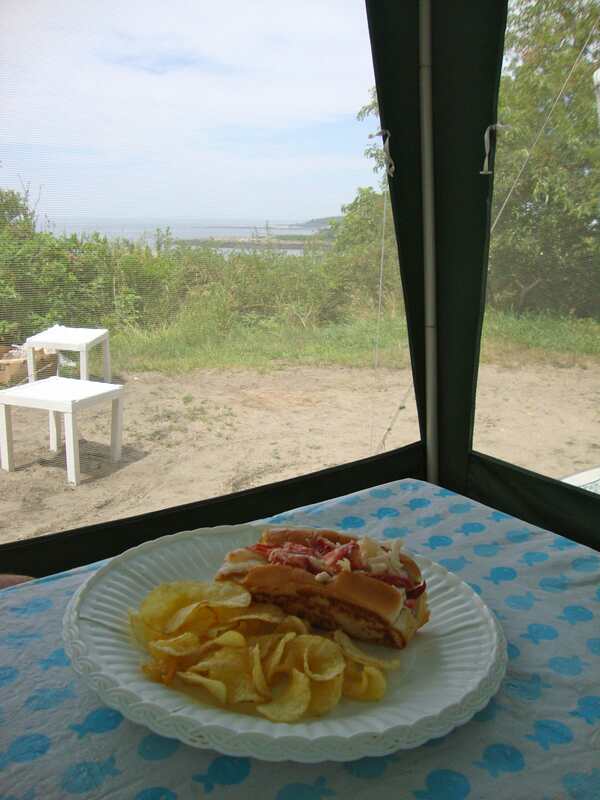 Whenever I go back East for my annual family camping trip to Hermit Island, I’ve got to have a couple of lobster rolls, and in my opinion, nothing beats a homemade one — as in one you make yourself. Many restaurants and little roadside seafood takeout joints sell them — you’ll pay $12-20 for one, and it will be delicious. OR, you can buy 3 lobsters for less than $5/pound and you’ve got enough for 4-5 homemade lobster rolls. Really fresh lobster meat in big chunks (don’t break it up too much, you want some big pieces. A whole claw? Bring it on.). Also, my family stands firm that the best lobsters are 1-1.25 pounds each. Not bigger — the meat can get tough. Basic white hotdog rolls — the ones with the cut in the top, not the side — this is a critical detail. It goes like this: you break down the lobster and take out the meat. (If you don’t know how, there are tons of videos on YouTube.) Throw it all in a bowl as you go. Make sure there are no shells. Nothing ruins a lobster roll like a crunch of shell. Once all the meat is in a bowl break it apart a little bit into big chunks. You can leave some claws whole. Add a *little* bit of mayo — maybe 1-2 tablespoons, just enough to give it a little bit of a coating. I need to stress — do not go overboard here. It’s nothing like the chicken/tuna/egg salad process. Butter the outsides of the hotdog rolls and grill up in a skillet so the outside is nice and brown and crispy. This will give it a nice crunch. Then, stuff the rolls with the lobster mixture (some people add onion, chives, lemon — all of these are options, but I’m a purist). Stuff a lot in there — the goal is to have it be sort of overflowing. Then, serve with some Cape Cod chips. Mmmmm. Not much better than that. You get the sweetness of the lobster, wrapped in a warm, crunchy, buttery roll. It’s the perfect summer lunch. (Check out the view from our campsite below.) I want another one! 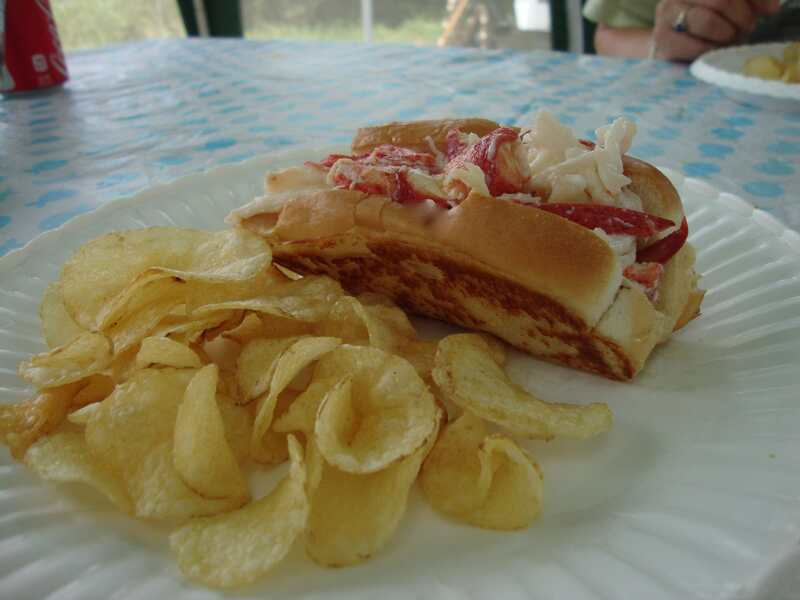 This entry was posted in Recipes and tagged lobster, lobster roll by Tricia. Bookmark the permalink.